Many people wonder how they can lower fertility costs since the average cost for an IVF treatment is around $12,000 and that doesn’t include the extra medication that you may need. Infertility has become more common throughout the years. Due to different factors, many families are experiencing this issue and it can be a very frustrating time. Some couples may have to go through several rounds of IVF or other fertility treatments before they become pregnant. That cost can quickly add up and lead to even more stress during this time. I wanted to share some different ways you can lower fertility costs if fertility treatment is an option you are looking into pursuing. 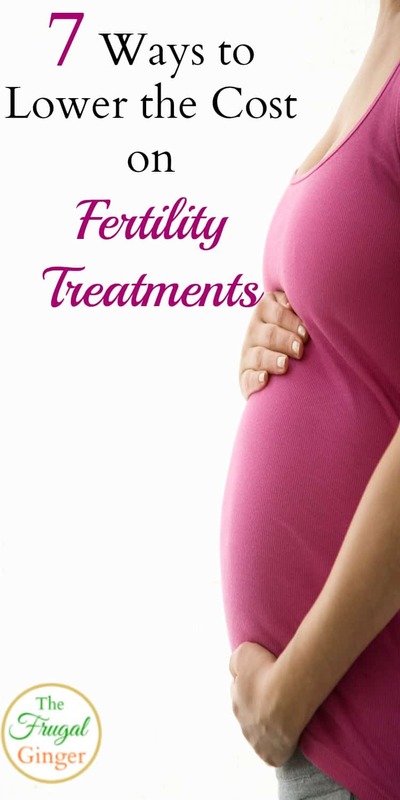 There are so many different fertility clinics that offer fertility treatments and they are very diverse. Before you make your decision about which one you will choose make sure you read as much as you can about that clinic. Look for testimonials and reviews from other patients and their success rate. Choose a clinic that is willing to work with you and you are clear about their protocols. You don’t want to spend your time or money on the wrong clinic because it could lead to more unsuccessful cycles that are very expensive. Also, look to see if the clinic offers free financial counseling to help you figure out how much your insurance will cover and where you can find the funds to cover the rest. More and more companies are offering to cover the costs of fertility treatments for their employees! Companies like Johnson & Johnson, Spotify, and Bank of America cover all costs of treatment if you are diagnosed with infertility! Ask your HR department if they offer any coverage and it may be worth looking into applying for another job at a company that does cover all costs if you can find one in your field. It may not be realistic for some people to look for a different job but you just have to weigh the pros and cons for you and your family. Yes, there are different grants and scholarships that you can apply for to help lower fertility costs. They are pretty competitive so don’t give up if you don’t get it the first time you apply. Keep applying! Many people have to go through several rounds of IVF for a successful pregnancy and each round costs money! When you are choosing a fertility clinic, you might want to look for one that offers IVF refunds. Some clinics are now offering women a flat fee for a set number of IVF treatments. They offer a partial refund or money back guarantee if the woman doesn’t conceive. This can save you money because you aren’t as stressed about making that one IVF treatment count because that is all that you can afford, which results in higher rates of pregnancy. Before you sign up for this, make sure you read all of the fine print and understand exactly how it works. Going through fertility treatments is a huge cause of stress. It is both financially stressful and emotionally stressful. Studies have shown that reducing stress can increase the chances of you conceiving. There are so many free ways that you can reduce your stress and the fertility clinics may even offer free counseling that you should take advantage of. If meditation or yoga isn’t for you, I have a whole list of ways to relax for those who hate to meditate. When you are starting to talk to your doctor about fertility treatments, make sure they know your financial situation and they may be able to offer you more affordable fertility medication. They don’t know if you don’t ask! Let the doctors, nurses, and billing department know you want the most affordable options. Some clinics even have patients turn in unused medication that they can donate to you or they can let you know about the pharmacy that offers the best price on certain medications you may need. When you are filling out your income taxes, let your accountant now about all of the costs associated with your fertility treatment. All of the IVF, IUI, surgeries, medications, travel expenses, and pregnancy tests are tax deductible so keep all of that information for tax time. A good accountant will know of even more tax deductions associated with the costs. Every little bit helps so make sure you claim it! 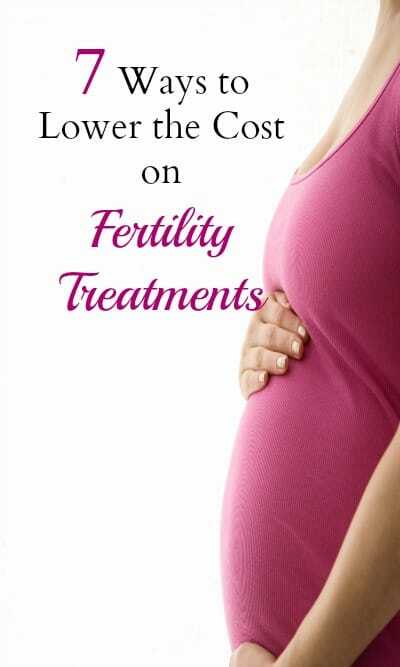 I know that dealing with infertility can be a very difficult time and I hope that you can take advantage of a few of these tips to help lower fertility costs so you can afford fertility treatments. Share this with anyone you know that may need some help and encouragement.